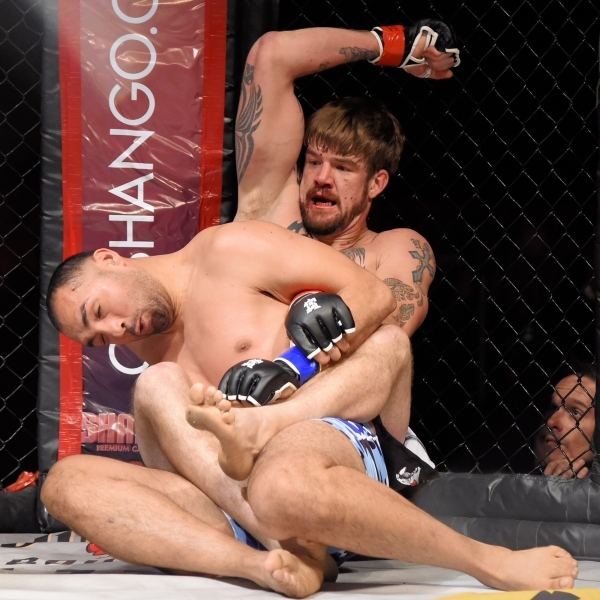 Schneider stopped challenger Lee Cordova at 2 minutes, 23 seconds of the second round at the Cox Pavilion. The fight was the top bout on the card for the amateur Tuff-N-Nuff promotion. Schneider (5-3) said he just followed his game plan and never deviated from it. Cordova (4-4) came out with a little Mohammad Ali showmanship, smiling at Schneider and signaling with his hands for Schneider to come inside. He did that several times with little or no reaction from Schneider who just followed his coach’s game plan. Then late in the first round, Cordova caught Schneider with a punch, bloodying his lip. Not much else happened in the first. 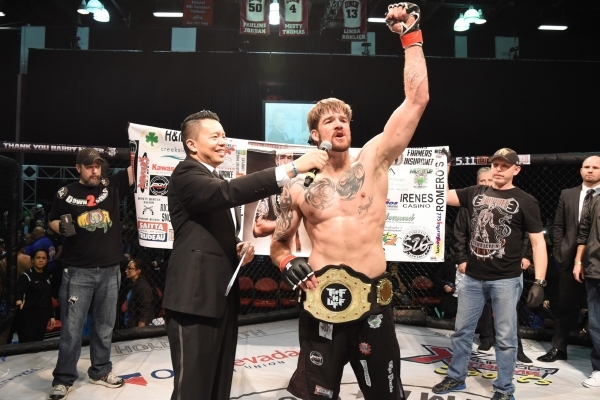 Cordova kept taunting Schneider well into the second round and then Schneider took him to the ground and the two spent most of the second round with Schneider on top and in control and it even seemed Schneider had a chance to end the fight with a submission hold. But Schneider would have none of that. In complete control, he started pounding Cordova from a sitting position and the referee called the fight. Schneider said he had an opportunity to take Cordova out prior to his ground and pound. Schneider said when he got on top and started punching Cordova he knew he wouldn’t last much longer. Schneider’s father, Andy Schneider, had no doubts on the outcome and really thought nothing of Cordova’s efforts in the first round. Schneider’s father praised his son’s coaches for their great preparation. Cordova’s first-round efforts didn’t impress either his longtime coach Brian Thelaner or one of his new coaches, John Watkins. “He really never had me worried,” Thelaner said. “He got hit once. That was a wake-up call on that one, and as you can see he then took him to the ground. The guy had no ground game. Watkins said he thought his fighter was going to win from the onset of the fight. Brandon Schneider said he might have a few more amateur fights. On June 25 will be Pack the Mack at the Thomas and Mack Arena in Las Vegas. This year all the winners will be given a professional contract with Pancrase, a Japanese based professional MMA organization. 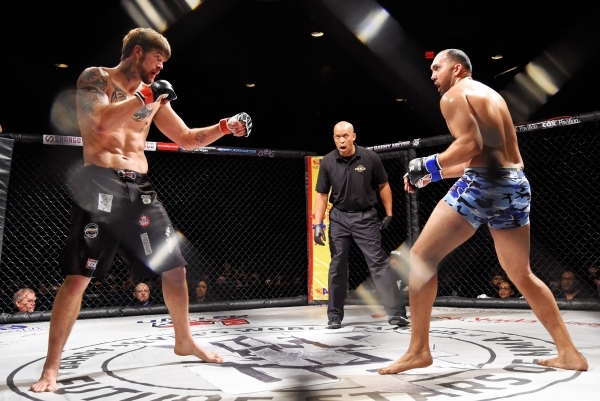 “I want to fight at the Mack and I also want to work to bring a fight to Pahrump,” Schneider said. 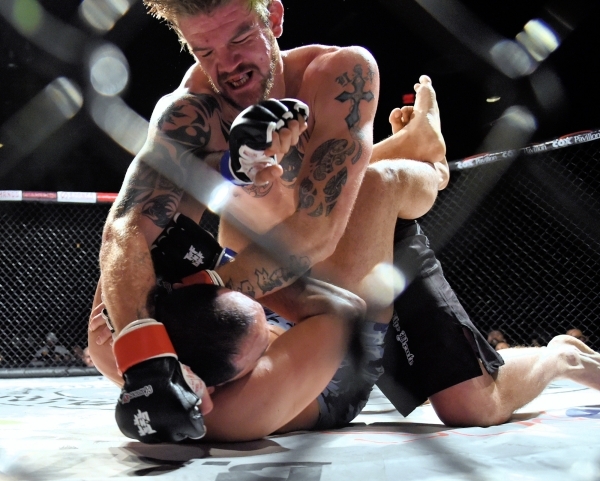 The fighter said bringing an MMA fight to Pahrump will be a main focus of his.